Our content monetization strategy is geared toward both Social Networks AND Social Network Members. But before we start talking about the strategy, it's extremely important that we're all very clear on the definition of the terms: "Social Networks" and "Social Network Members." A social network includes not only a primary commercial social network, e.g. XING, MySpace, Facebook, LinkedIn, etc., but also social network platform providers that enable individuals, groups and businesses to form their own "private social networks" on-the-fly--organizations such as NING, Wikidot, Wetpaint, etc.--and also each individual group and subgroup within the primary commercial social network or social network platform provider. Why do we categorize a group as a social network? Well, the membership of some of these groups can number in the thousands to hundreds of thousand members. With respect to the definition of a social network member, a social network member is an individual who is either a member of a primary commercial social network or one of the individual groups and subgroups within the primary social network; or a member of any private social network, group and subgroup within a social network platform provider. However, that being said, technically speaking, a case could be made that anyone who is a member of a primary commercial social network or social network platform provider can be classified as a social network member. Which is the reason why I've gone through the painstaking process of making the distinction between the two. Spend 100's of thousand or millions of dollars to build a platform and develop a strong membership base - better known as "generating a lot of eyeballs"
It's obvious that something is definitely missing from this process, but what exactly is it? The primary reason that social networks are facing this dilemma is that they keep trying to purchase goodwill from their members with a One-Sided Coin. What would any of you do if someone tried to purchase something from you with a one-sided coin or one-sided dollar bill? If you wanted to be kind to that person, you would politely reject the coin or dollar bill and just walk away; or take the one-sided coin or dollar bill and not give back anything of value; and if you didn't suffer fools gladly, you'd probably be furious and/or call the police. In a sense, this is exactly what is happening today with most social networks. Innovation in and of itself is not enough; it is only ONE SIDE OF THE COIN. Why is that? It's because your competition is fierce and Mister or Miss Innovation is coming at you Fast and Furious without taking a breather. 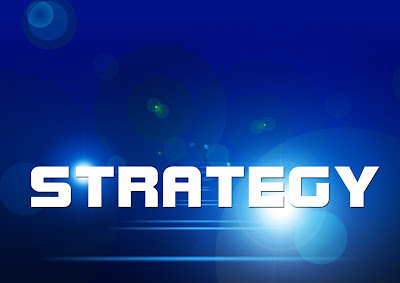 The minute you come out with the latest fancy tool, gadget and widget---right when you are beginning to get some traction---10 other competitors pop up out of nowhere and start to bite and nip at your heels, trying to develop a better tool, gadget and widget in order to grab some of your market share. The latest tools--although we all love them dearly and want more and more of them--should only be seen as the means to an end, whatever that end is, instead of being the end in and of itself for your social network members. So what is the other side of that coin? Hold on to your horses! I am getting there. I am sure you have all heard of the old expression, "Content is King". Well, when it comes to social networks, we need to make a slight modification to that expression and, that is, "Ultra Premium Content is King." Why is that? That's because "Content" or "Premium Content" is widely available for FREE over the internet and no one in their right mind want to pay for it, however, "Ultra Premium Content" is rare and not widely available. There are plenty of reasons why that is so, however, they do fall outside the scope of this discussion. In any case, let us proceed with this relevant question: With respect to social networks, what exactly is that Ultra Premium Content? Ultra Premium Content is the information and knowledge that your social network members truly and desperately need in order to leverage the tremendous power and potential of this amazing collection of tools and contacts that are available at their disposal--the social network--to their individual or collective benefit. Which explains the reason why I've been approached by thousands of social networking groups, requesting that I contribute my expertise in order to leverage the tremendous power and potential of their social network. Sorry for the long wait--I hope it was worth waiting for. As you can now see, we can all answer the question about the other side of the coin: The OTHER SIDE OF THE COIN is that Ultra Premium Content your social network members need in order to leverage the tremendous power of the social network to their individual or collective benefit. That's what we call Real Empowerment. So where do you get that Ultra Premium Content from? I thought you'd never ask! It's from the modern Virtual Organization Management (VOM) discipline. However, before we proceed, let us quickly tell you what Virtual Organization Management (VOM) is all about. What is Virtual Organization Management (VOM)? The modern VOM discipline specializes in the development of best-next practices, policies and procedures for operating in a virtual environment and for managing a virtual organization and social network. Please keep in mind that Virtual Organization Management (VOM) is technology-agnostic and platform independent, therefore, its application is not restricted to any specific tool, gizmo, gadget or widget or, for that matter of fact, any specific social network. In a real sense, this is exactly what happens once your social network members learn how to virtual organize and manage their social network. They are no longer bound by, and nor do they care about, any specific operating system, tool, technology, or social network. They only care about freedom, flexibility, and substance in the form of Ultra Premium Content that leads to Real Empowerment. Here is a perfect analogy: Generally speaking, once you've learned 1) how to drive, 2) the rules of the road, and 3) how to read maps and use a navigation system, you can travel to any location and distance without regard to the make and model of your car. Any car will do. The make and model of your car then becomes a matter of personal preference subject to your economic status and overall taste. I hope that made sense to you. So let us now resume our discussion regarding this Ultra Premium Content derived from VOM. This Ultra Premium VOM Content comes in the form of a series of Ultra Premium White Papers on how to virtual organize and manage social networks. But there is more! Each Ultra Premium White Paper comes bundled with the Video Presentation version. But we're not done yet, each Ultra Premium White Paper also comes with a registration to a 3-Hour Live Interactive Audio-Web Presentation on that exact topic--which includes a Q&A session with the author who currently also happens to be yours truly, the founder of the modern virtual organization management discipline. And for the ultimate in convenience, these live interactive sessions with the author are conducted twice a week on an almost indefinite basis. That way, each Ultra Premium VOM Content purchaser can select the most convenient time to attend the live interactive session. And, last but not least, this entire package is sold at a price that everyone can afford---from the small fry to the big fish. In essence, what we've done here is pile up value on top of value so that [everyone]--instead of just a few--can afford to reap the benefits of the social networks, especially during periods of severe economic crises. Now, please indulge me a bit as I digress a little, however, there is a great deal of similarity between what VOMI is now doing and what Bill Gates-Microsoft did in the 80's. Bill Gates-Microsoft's mission and vision was extremely simple: Make the PC affordable to the masses so that there would be a PC in every home and business. The first question was: How do you do that? And his answer--although brilliant, revolutionary and a stroke of genius--was equally simple: License the operating system. What is the end result of that simple mission, vision and strategy? Well, since my 7-year old granddaughter has her own laptop computer and is constantly on the internet, I am sure you all know the answer. However, let's stop and think for one second. What was the logic behind Bill Gates' idea of making the PC affordable to ALL? Again the logic was very simple: the value of owning a PC--in terms of both its current and future potential for all of mankind--was and still is something that transcends all demographics. As you can see, brilliant ideas don't have to be complicated. In fact, what makes them brilliant is their simplicity. Well, in essence, we -- meaning YOU, once you partner with VOMI, and I -- are doing the exact same thing: We are making VOM knowledge affordable to the masses so that VOM can be practiced by everyone in every home and business anywhere in the world. And our logic is the same: The value of virtual organization management--from learning how to virtual organize and manage your social network all the way to learning how to virtual organize and manage a team, group, department, division, region or entire company---in terms of both its current and future potential for all of mankind is indeed something that transcends all demographics. Each day that passes by, our world gets virtualized more and more and, eventually--there is no doubt or question about it--everyone will need to know how to virtual organize and manage in a virtual environment. Make no mistake about it, within the next 15-20 years, my "future" 7-year old great-grandson or great-granddaughter will be able to virtual organize and manage (VOM) in a virtual environment. God willing, it would be exciting for all of us to be around then. So what are the benefits of the 2-SIDED COIN to both the Social Network and the Social Network Member? First, let's talk about the people that really matter since you can't have a social network without people: your social network members. To a Social Network Member. A 2-SIDED COIN represents "real currency" that a social network member can gladly accept in exchange for the goodwill and economic benefit the social network seeks in return. The social network now really has something "exclusive" and "highly beneficial" to offer that differentiates it from all the other social networks out there using the typical One-Sided Coin. As stated earlier, the social network member is now Really Empowered to leverage the tremendous power of the social network to his/her individual or collective benefit. The 2-SIDED COIN now becomes the means to an end for them instead of the standard 1-SIDED COIN message that says "here are my latest and most exciting tools, now go ahead and use them and tell all your friends about it." The social network member now finds purpose and stability, can now focus on one or more key objective(s), no longer has the urge--and nor can he/she afford the time--to hop around all over the place joining 1000's of social networks [just a figure of speech, folks] and making a bunch of so-called friends and contacts that they will never even have a conversation with, let alone the time to get to know each other long enough to engage in something that could be remotely called constructive or mutually beneficial. Now let's talk about the social network. To a Social Network. Once you empower your social network members with a 2-SIDED COIN, guess what happens next: they will give you what you paid for. In other words, they become a loyal, active, captive, and satisfied audience and, most importantly, revenue-producing members. After all, isn't that what almost every social network wants? The icing on the cake for your social network is that the cost of developing and providing this Ultra Premium VOM Content to your social network members is ZERO. Your Ultra Premium VOM Content Provider does it all. The second layer of icing on the cake for your social network is that your partnership with VOMI, the Ultra Premium VOM Content provider, does NOT, and will not, cause any kind of interference in your current business activities; and nor will it cause any sort of disruption to your existing revenue-generating activities. This means you can continue to use your social network as an advertising platform for BOTH your social network and your clients without any sort of conflict of interest. This will drive your competition nuts. But the best is yet to come. The third layer of icing on the cake for your social network is that since the SECOND SIDE OF YOUR COIN---this Ultra Premium VOM Content--is "technology-agnostic", that means you don't have to worry about your social network members getting bored and jumping ship each time your competition comes out with the latest and fanciest tool, gadget, or widget. Even when your social network members go to your competitors once they release a better mouse trap, they will always come back to you in order to learn how to make effective use of this new mouse trap for their "individual or collective benefit." Once your members gain an understanding of VOM, it will NOT be necessary to hop around like a bunny rabbit on 10,000 other social networks. In fact, it would be totally counterproductive for them to do so since that would create a virtual organization management (VOM) nightmare for them. With VOM, the trend is toward consolidation of activities at a central location instead of "hopping around all over the place" and getting to be everybody's friend. After all, you can only have so many friends. The fourth and final layer of icing on the cake for your social network is that the SECOND SIDE OF THE COIN comes with the highest possible level of credibility in the industry. VOMI is the world's leading and ONLY global educational institute, think tank, professional association, certification and accreditation provider, and conference producer solely focused on virtual organization management. The founder of VOMI is the founder and pioneer of the modern virtual organization management discipline. Currently, every single Ultra Premium White Paper is authored by the founder of the virtual organization management discipline to insure authenticity and value. In the foreseeable future, once VOMI has trained a sufficient number of VOMI academics, each single Ultra Premium White Paper will either be co-authored or reviewed and approved by the founder of the discipline in order to insure continuity and consistency in authenticity and value. According to Google, VOMI and its founder's profile were viewed by over 100 million internet visitors in 2008. Therefore, your association with the most prestigious and only virtual organization management institute in the world--headed by the founder of the discipline--means that you don't have to worry about the long-term viability of our standing in the industry and the value of your offerings. The quality and value of your offerings will always remain in the foreseeable future the very best that the industry has to offer. How Do We Deliver This "Ultra Premium VOM Content?" These Ultra Premium White Papers bundled with the Video Presentation version and the 3-Hour Live Interactive Audio-Web Presentation with Q&A session with the author, collectively referred to as this "Ultra Premium VOM Content", are strategically released and delivered to your social network members in such a relevant and timely fashion so that each new Ultra Premium Content release not only builds upon, but also adds tremendous value to, the previous one.